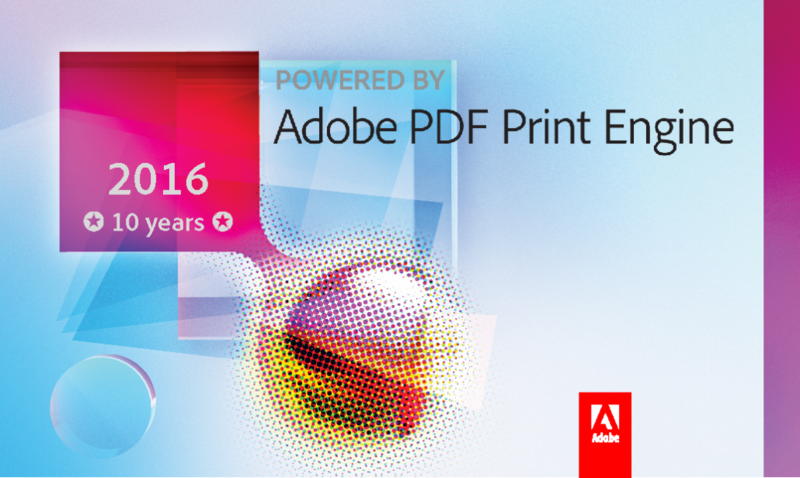 As one of the first adopters of the original Adobe PDF print engine V1.0 in 2006, FFEI is delighted to have continued a close relationship with Adobe over the past 10 years culminating in the latest release of APPE 4. For several decades FFEI has been developing Adobe based workflow technology previously as a subsidiary of FUJIFILM with products including CelebraNT, XMF and more recently with FFEI’s own branded products including RealPro Workflow and market leading Graphium Label Workflow to support digital narrow web hydrid press workflows. The labels and packaging markets have unique requirements for which the Adobe PDF Engine provide the core technologies. FFEI’s Graphium Digital Hybrid Press combining Flexo and UV inkjet the Adobe PDF Print Engine and the unique integration in Graphium Label workflow allows both proof, soft proof, digital and plate rendering in a single job. Its unique production intelligence automatically matches shapes of 1 up design files with the target CAD layouts. Even with no CAD files, it can automatically design a JDF layout and CAD file based on rules. Graphium Label workflow can even extract CAD data from pre-stepped PDF’s allowing 1-up file replacement in seconds. With Packaging artwork often being designed using spot colours in addition to, and sometimes in place of CMYK, the Adobe PDF Print Engine provides fast accurate spot colour handling, even when used with transparency effects. APPE 4 brings increased support for over 120 spot colours (127 is the total number of colour channels, including process and spot colours) which are used in combination with the FFEI colour management technologies allowing ISO 12647 certified CMYK printing and wide gamut printing of spot colours within the same job. With the increasing print quality seen with HD Flexo and inkjet technologies such as FFEI’s own Graphium systems, there has been increased use of high resolutions blends and gradients, something the Adobe technology excels at. APPE 4 provides seamless communication of artwork elements from Adobe InDesign CC, Illustrator CC and Photoshop CC to finished imagery, thanks to blind exchange via PDFX/4, which reliably communicates all page elements including transparency to the APPE. The APPE provides optimised rendering and object specific rendering and FFEI have extended this technology to provide unique features for inkjet such as barcode optimisation. Commenting on the APPE 4 release, Andy Cook, Managing Director for FFEI says: ‘We are delighted to see Adobe’s latest development with the APPE technology which brings great new functionality to the industry. It is so important to see continued investment from Adobe in this type of digital print technology which enables companies like FFEI to continue to innovate and extend the adoption of Inkjet across the Print industry’.